They say “Beauty is in the eye of the beholder”, we say “Beauty and function are what we eye”. Keble’s Trading’s Pad Eyes are a blend of aesthetic and function that will provide you bragging rights on completing your project. In stock are Eye Plate and Diamond Pad Eye in various sizes from 5mm to 100mm that are made of remarkable-quality 316-grade stainless steel. 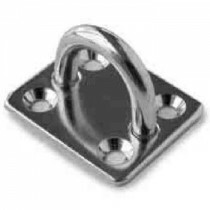 We source our stainless steel Pad Eyes from globally reputable manufacturers assuring you of giving quality craftsmanship and safety to your customers or your family. 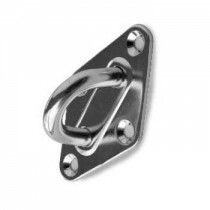 Turn to Keble’s Trading for reliable-grade stainless steel PAD EYES. Talk to us! We speak your language! We understand your business. Call us at 1-800-067-687 or fill out the contact us form below. No inquiry is too large or too small. We would love to be of service to you today!